The perfect romantic getaway location nestled in the heart of Amish Country. There is so much to explore and experience at The Inn at Honey Run. 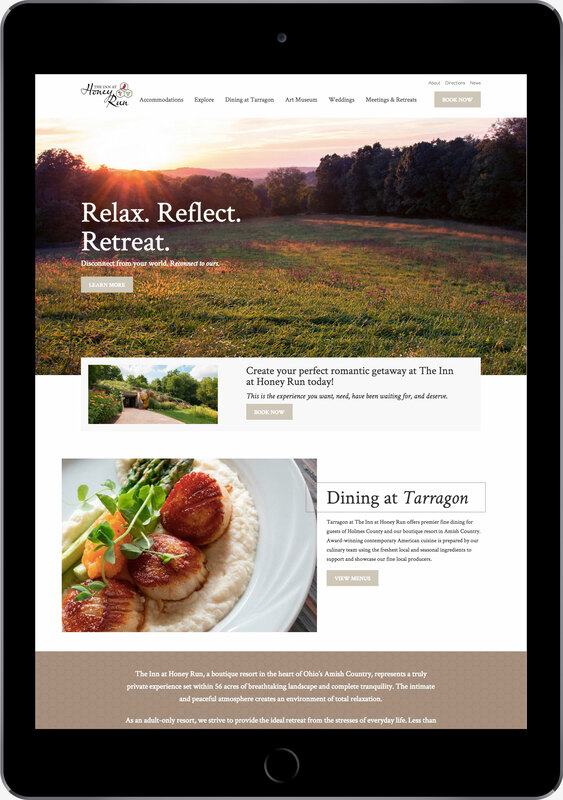 The website reflects the brand and culture of the Inn, giving first time explorers the feeling of being there.